How Playground Equipment Can Make You A Positive Thinker? 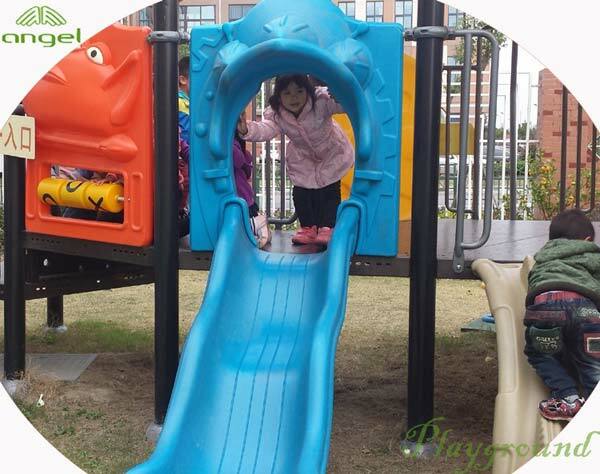 Home > News > How Playground Equipment Can Make You A Positive Thinker? When you as a parent question yourself that “how is my kid doing?”, “Are my kids happy?”, “Are they feeling good and positive? These are some of the question you constantly ask yourself when you care for your kids but how to know that they are really doing great both physically and mentally. Cheap Playground Equipment is great to strengthen their mind and help them. When a child receives consistent response from a caring adult, trust, deep attachment and a sense of being wanted develops. So, the first thing you need to do is show your affection towards them and then you can work even better for their physical and mental strength. The key is to ensure that these relationships are respectful, responsive and reciprocal. Schools should try to avoid having any restricted areas in their outside space so that students can move freely during their break times. Think about ways in which a space can be transformed. The more space children gets for their outdoor time, more free they feel in their mind. Playground activity always helps them to lighten their mind, it helps their mind to relax and forget about any grudges, anger or depression they have inside them. Another crucial factor to check whether your child is really enjoying is through his or her smile. Most of the times these days, the playgrounds have become a boring space because they are not updated with the newer equipments which kids wants to play with. A dull and uninspiring playground and unkempt school grounds can leave children feeling unexcited. In that case, you can make your own playground on your lawn using cheap playground equipment. Investing a little love into your school or house playground can develop simple changes to the outdoor environment. It can improve the space and your child’s behavior towards their relationships, their lives and mostly their happiness. It’s important for children to be stimulated both inside and outside of their house.